Why is £5ew too much for a multinational bookmaker? 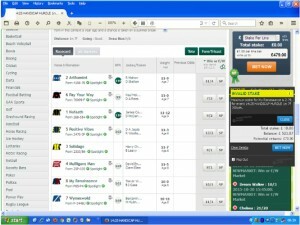 This ‘fun’ punter has had an account with this multinational bookmaker for over 12-months. He bets on football and horse racing; he never uses the online casino or games. How can a £5ew bet (total £10.00) be a threat to the profits of a multinational bookmaker? But a bet offered by them on the same horse, at the same price, for £2.79ew (£5.58) is not? We’ll let you decide why? Of course a bet of £10.00 on the roulette wheel would have been accepted without delay, i.e. 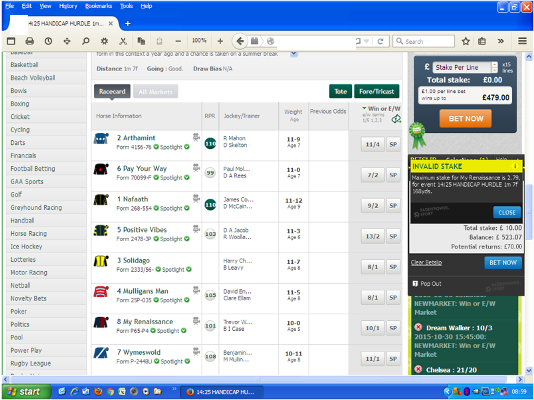 as a customer (punter) you can bet, but only on what we want you to bet on or you can get lost. Once again the regulators see this as “fair and open”. What do you think?